Sensory Deprivation... or … Sensory Enhancement? Ever lounge around in the Dead Sea? Nah. We haven't either. But this is the closest you'll get to trying it! A float pod, or a sensory enhancement tank, allows you to relax and meditate with no distractions. 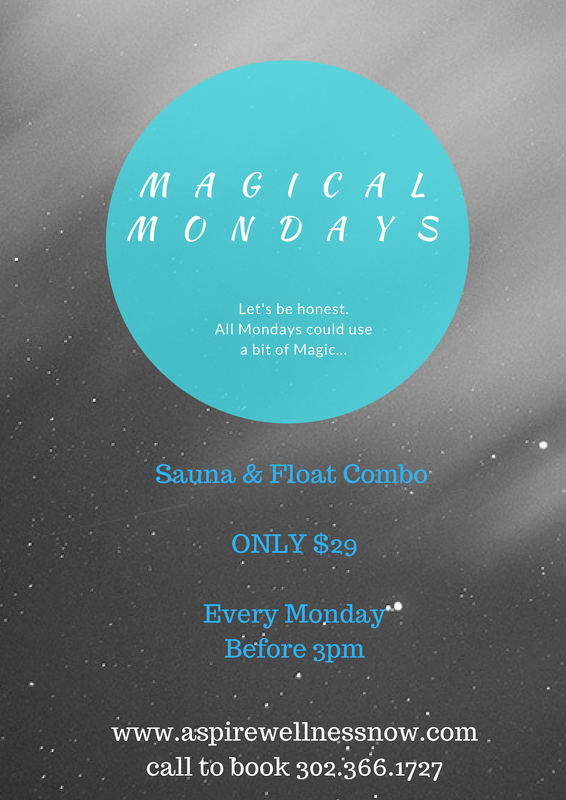 Immerse yourself in highly concentrated Epsom salt, suspending all your worries in our zero gravity tank. When first invented in the 1950s, there were no "enhancing" features to floating. Just you … and the water... and darkness. We've come a long way, and with technology, there are now fun features like LED lights, soft meditation music... ahhh. We will leave it to you on how to customize your experience, but either way, you'll be sure to transport your mind and heal your body. Promotes rapid, natural healing, relieves stress, chronic pain, adrenal fatigue, sleep, respiratory issues, and more. Helps restore your body's natural immune defenses. 1 hour of in the tank is like getting 4 hours of sleep! 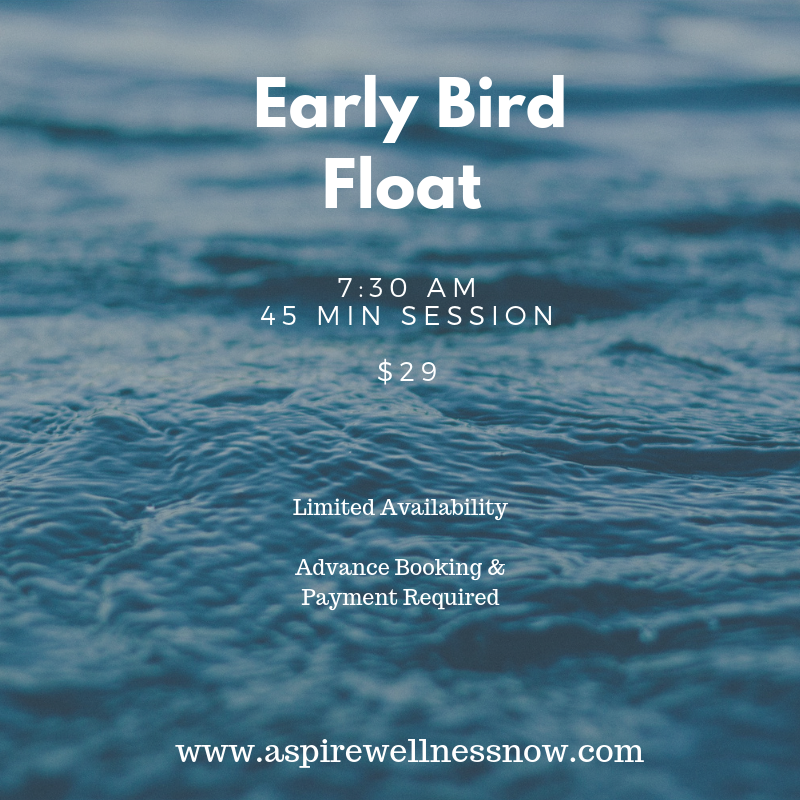 Stressed, healing from a injury, exhausted, or just looking for a refreshing way to escape from the world for an hour, floating will take you there. 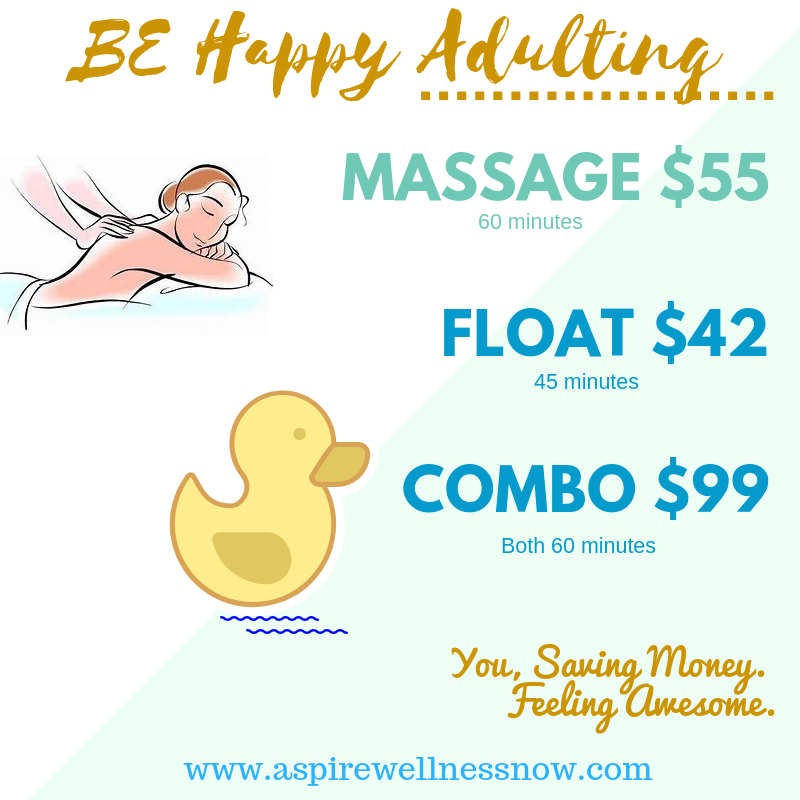 It's easy, awesome, and everyone can naturally do it! First time? We all have been there! We wrote up the below info to give you an idea of what to expect. Don't be nervous! We know this list seems long, but honestly, most of it's pretty common sense. We know you will be fine diving right in! Oh, wait... no diving. Please arrive a few minutes early. We have a waiver for you to sign. It looks pretty much like what is listed below. We provide ear plugs, a towel, a wash cloth, and body wash. If you want to use a specific body wash or shampoo you are welcome to bring your own with you. If you prefer to wear shower shoes or flip flops, we encourage you to bring them as well. 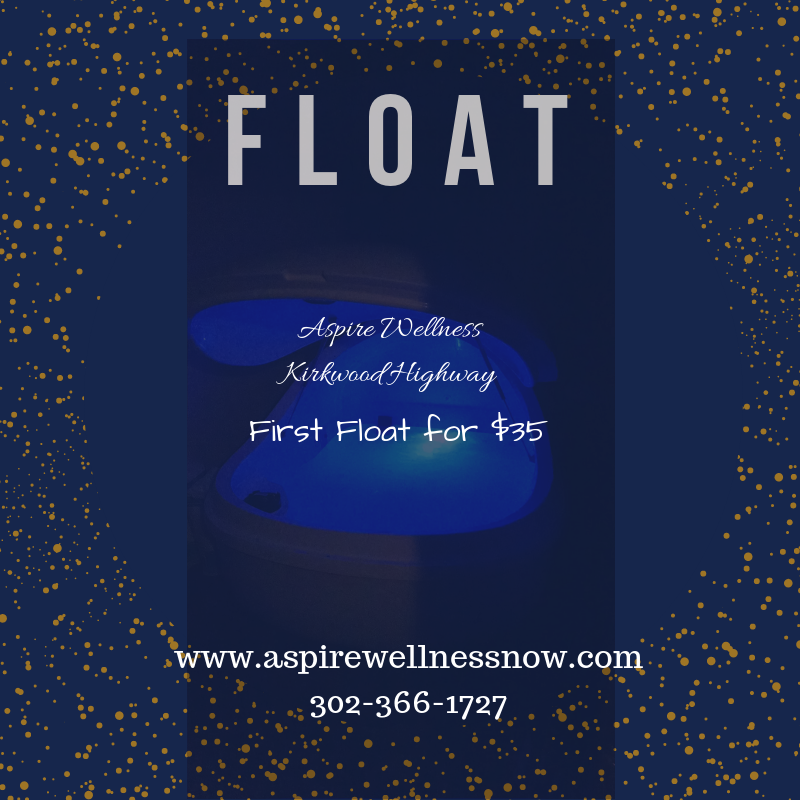 Your float is your scheduled time plus fifteen minutes to rinse off in the shower and get dressed. If you feel you will need more than 15 minutes to get ready after your float, please plan to exit the pod early. You are welcome to set your phone alarm as a reminder. If you run over your session, 6 minutes after your session has ended we will automatically bill your account $25. If you run over 10 minutes after your session has ended, we will bill you for the next session. If you wear contacts you should bring your case, solution and glasses with you. Just like being in the ocean, the salt does burn your eyes! Please refrain from touching your eyes or submerging your head entirely under water to prevent water from getting near your eyes. You do not have to wear a bathing suit, but if you are more comfortable in one you are welcome to wear it. We are not responsible for damaged bathing suits or clothing, or jewelry you wear in the pod. Bodily fluids are not welcome in the tank. Please use our rest room prior to your float and refrain from blowing your nose in the pod or spitting during your session. Damage to or contamination of the pod can result in drainage fees. Drainage fees are $900. You will be charged. Please leave the room as neat as you can. The room is maintained between floats, but remember, there are appointments after you! If our staff has to clean up excess mess, please be prepared to pay a $50 cleaning fee. The floor will get wet! Please be cautious of your step. We take no responsibility for your safety in maneuvering around the shower, pod room, or pod. Should you need assistance, please use the intercom. You can also yell! We are not far away. If you need help, a staff person will enter the room with your permission regardless of your attire. Your safely is our number one concern. Only one person is permitted in the pod at any time. Do not shave or wax too soon before getting in as the salt water may sting irritated skin. The same for fresh tattoos or cuts and scrapes on your skin. If you have recently colored your hair it is important to make sure the color has had time to set completely or there is a chance that the salt water will bleach it. If you are receiving keratin treatment you should avoid salt water, unfortunately that includes our pod as well. If you do not want your hair to get wet you may wear a shower cap or swimming cap in the pod. Beware you may still get wet despite the cap being on. Please provide your own cap for sanitary reasons. We are not responsible for damage to hair, hair treatments, jewelry, clothing, nail polish, tattoos, or anything else that salt may damage. We suggest you eat a small meal about an hour before your float so you are not distracted by hunger or a sense of being overfull from a large meal. Then a MEMBERSHIP is for YOU! 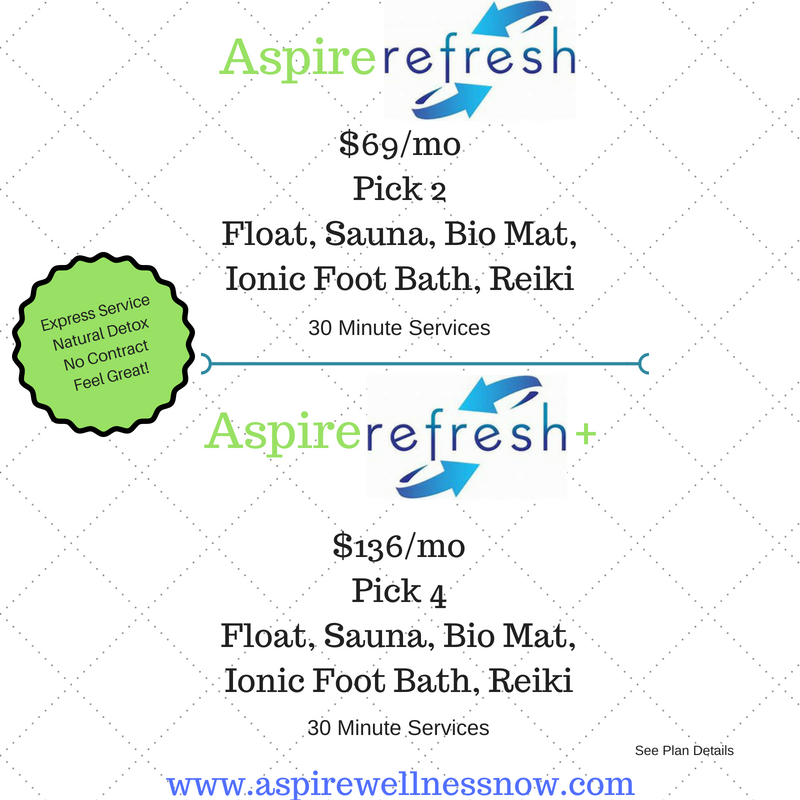 pss.... here are some other cool float offers to check out!